The basses are strong, but the trebles lack something. Switched the trebles out for La Bella 2001s and I'm pleased with the combo. These strings are great on my Cordoba C9. It has warmth but not muddy, they settle in relatively fast. The intonation is spot on on all strings. The only down side is the G string is a little weak in volume. I not sure how long they will last either, only time will tell. Excellent, smooth service! Competitive Prices with never a glitch! Fast Shipment as always! You have a lifelong customer! 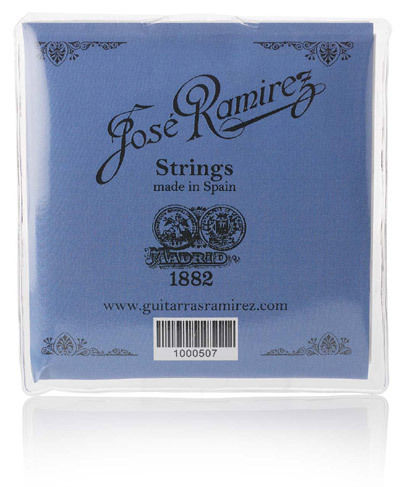 After consulting with a well known Ramirez 1a performer, I tried the full set of Jose Ramirez Coated Strings JRM. These are the best yet on my 1a. The carbon G really helps the tonality and balance. Q: Hi, is this the set that includes the carbon G string please?